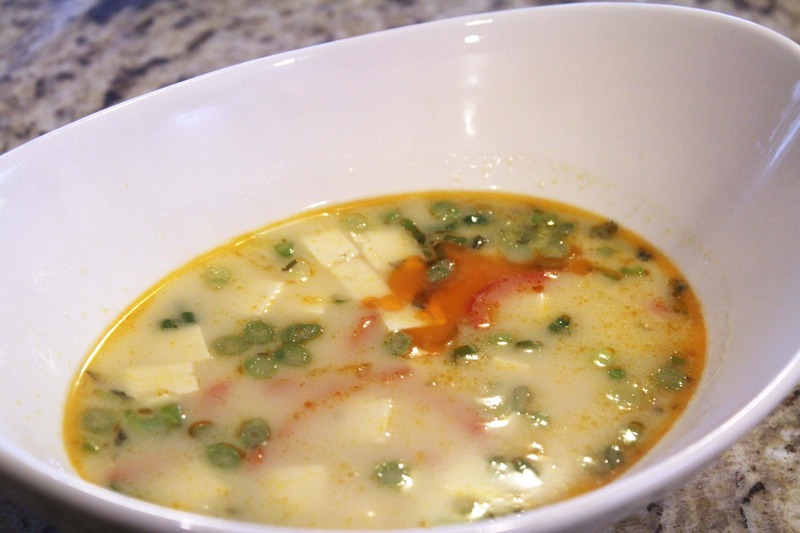 I’m so excited to eat this for leftovers now that I’m remembering just how delicious it is! 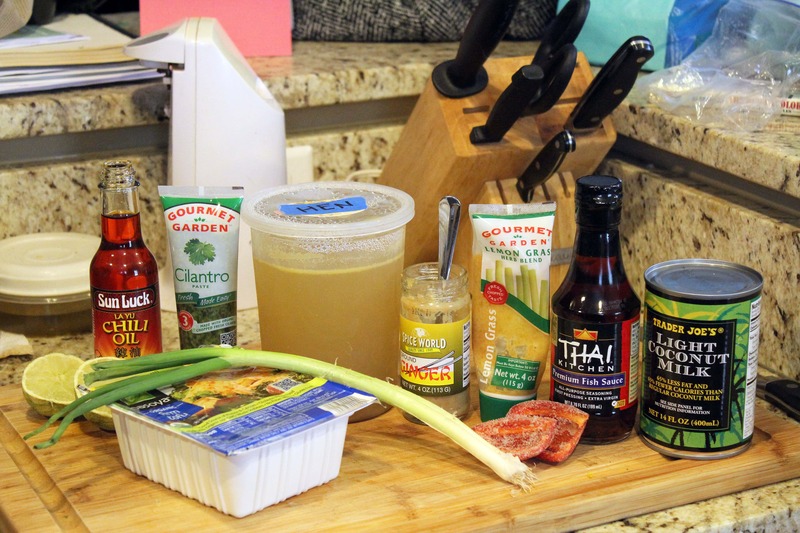 First, let’s make the stock taste all Thai. 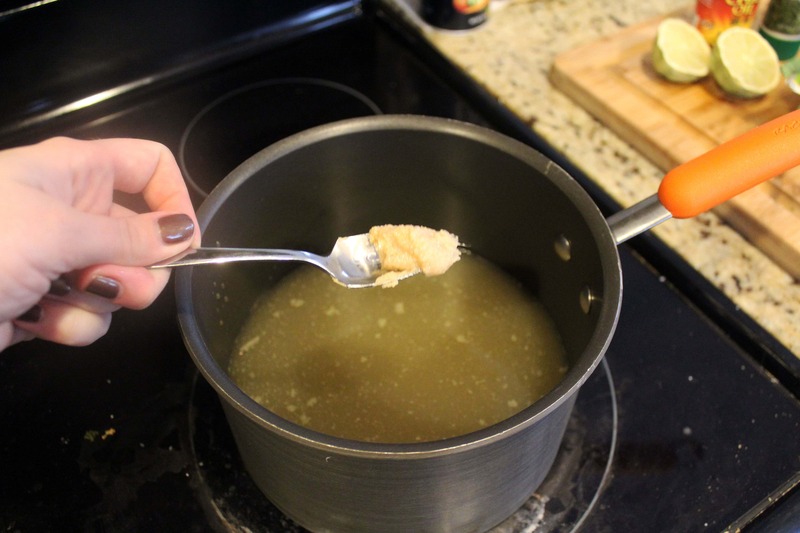 Add the chicken stock, lemongrass, ginger, and 1 tablespoon of fish stock to a small pot over medium heat. Stir, and let the mixture come to a boil. 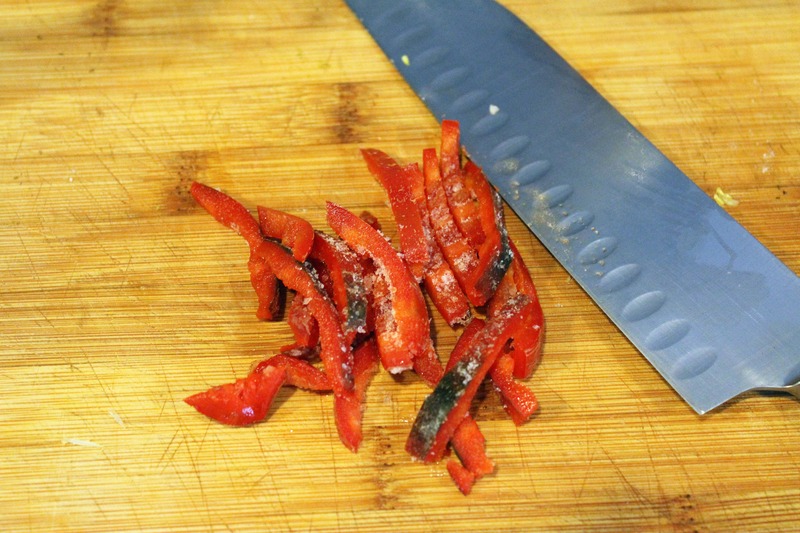 While the stock is heating through, thinly slice the chili pepper. Mine were frozen halves from my awesome grandparents who love me and give me produce. If you don’t like things super spicy, remove the seeds and ribs from the pepper like I did. 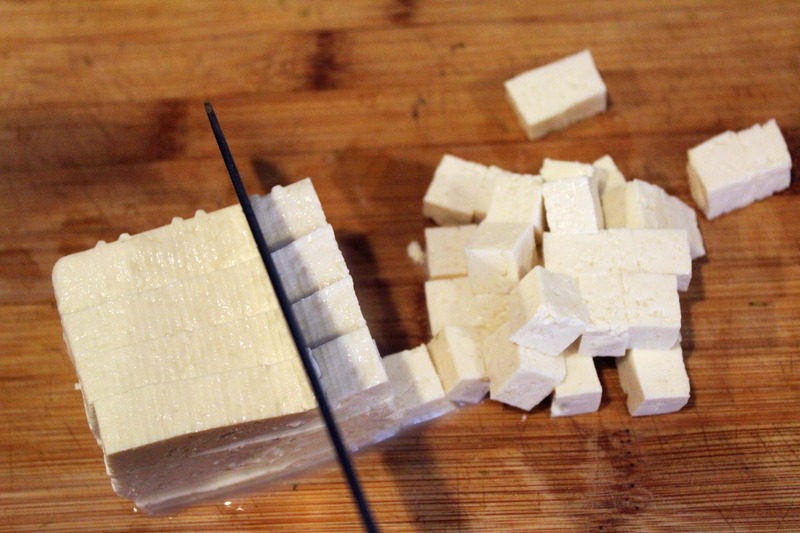 Then, cut the tofu into small cubes or shred the chicken. 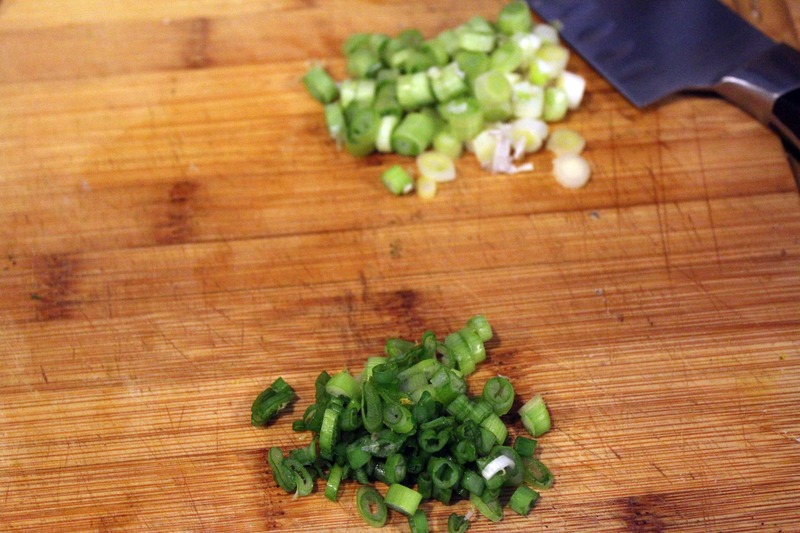 Thinly slice the scallions, too, and separate the white parts from the green parts. We’ll use both! 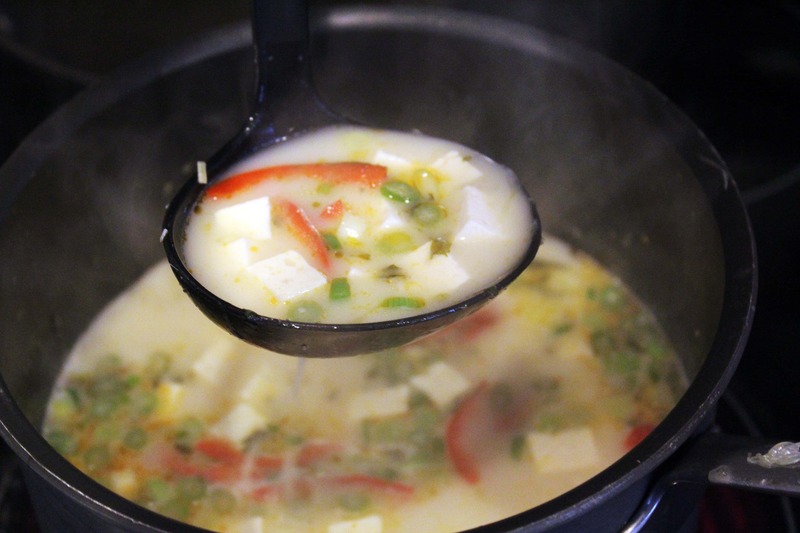 When the stock mixture has been boiling for about 10 minutes, reduce the heat and add the coconut milk. 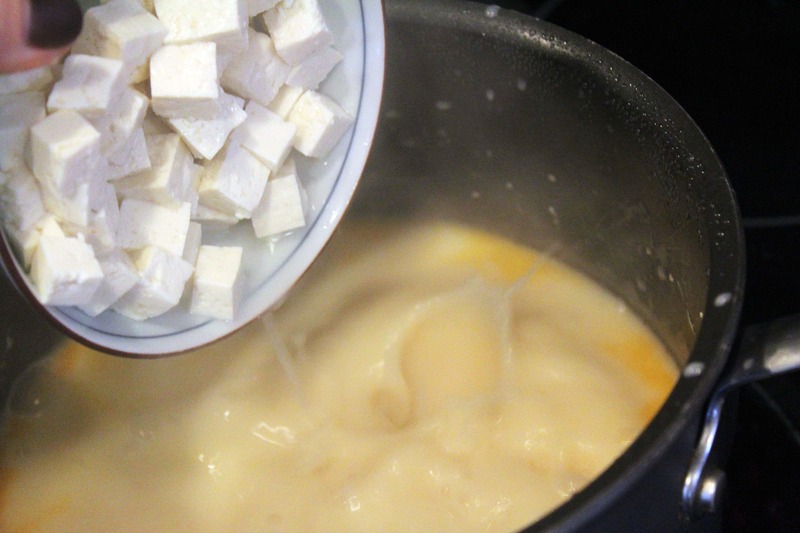 Stir together, and add the tofu! At this point, drizzle in a bit of chili oil. 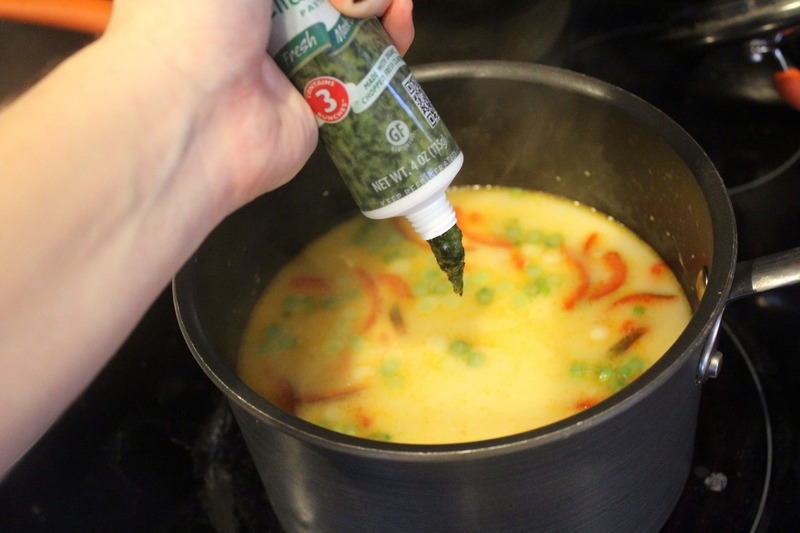 Mine was REALLY spicy, so I added 1 teaspoon to the soup and more to serve. Add as much as you can handle! 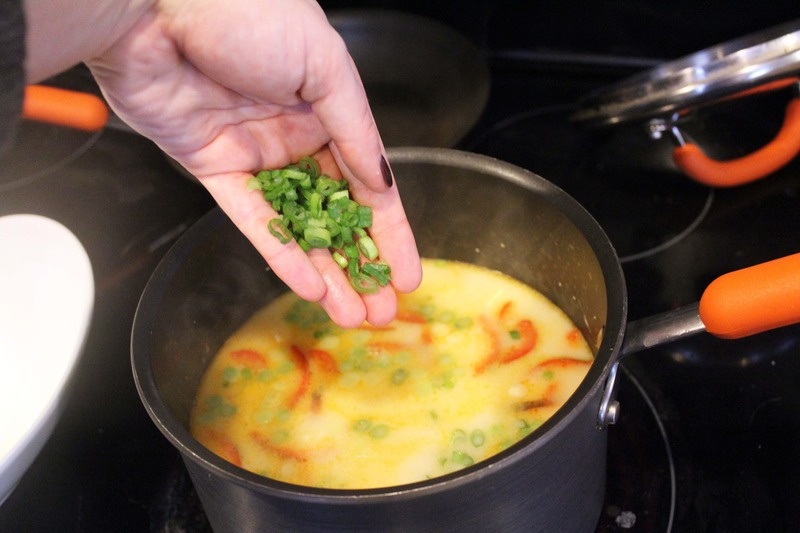 Then, add the sliced chili pepper and the white parts of the scallions to the soup. Stir, and let the mixture come back to a simmer – not a rolling boil. 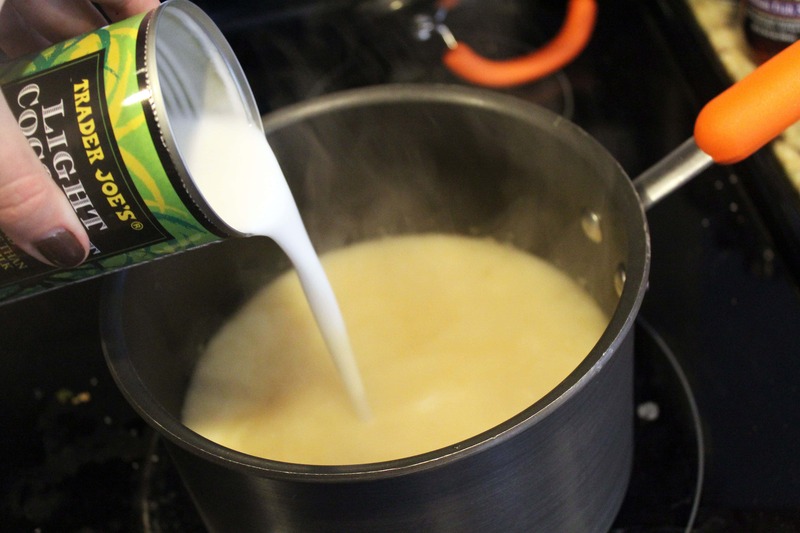 Let the coconut mixture simmer for 5 – 10 minutes, then give it a taste. I added another tablespoon of fish sauce here. 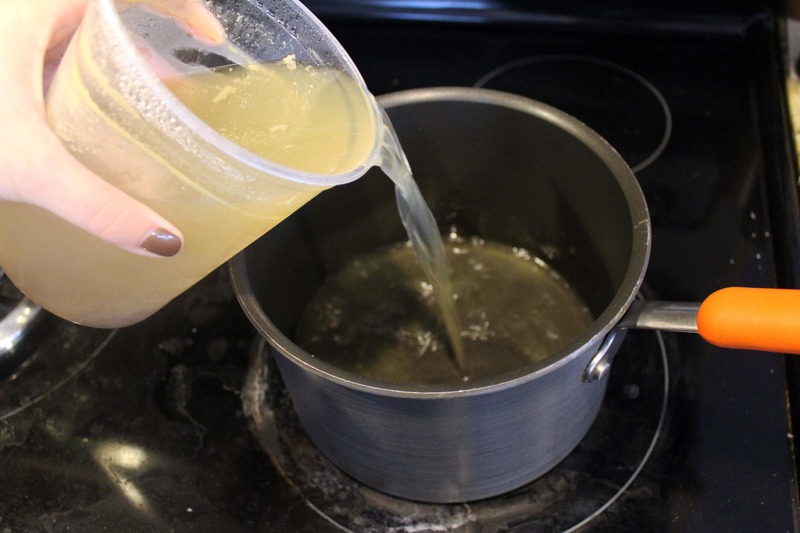 You might need more or less, depending on how salty your chicken stock was. Once the soup is salty enough, add the greens of the onions right before serving. 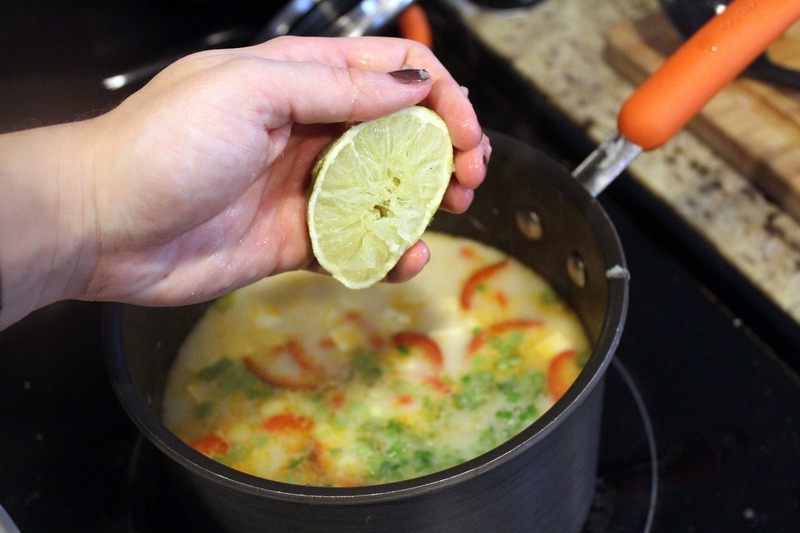 ….and squeeze in the juice of half of the lime. Taste once more, and add more lime juice if you’d like! We add the cilantro, lime juice, and onion greens right at the end so that they’re basically raw and super flavorful when you serve the soup. Now it’s time to ladle it into bowls! 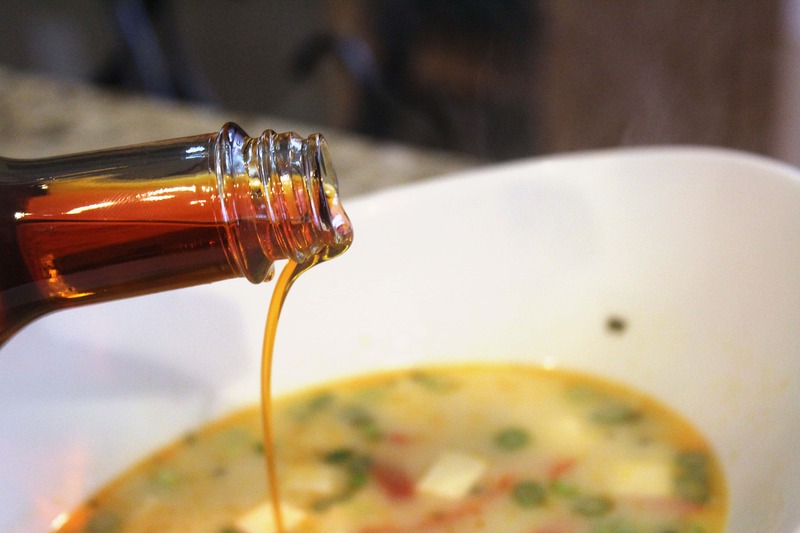 I drizzled a little more chili oil over the soup right before serving. That’s it! You could make this a meal by adding more veggies, some noodles, or extra protein. I love it as an appetizer or with a salad, though. Try this soon. Trust me. 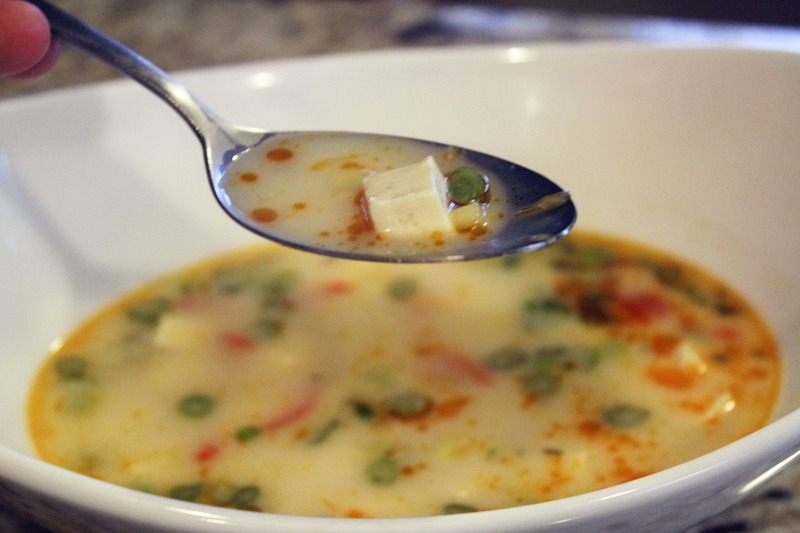 The salty/tangy/spicy combo is SO good, and the creamy coconut milk is delicious. Enjoy! 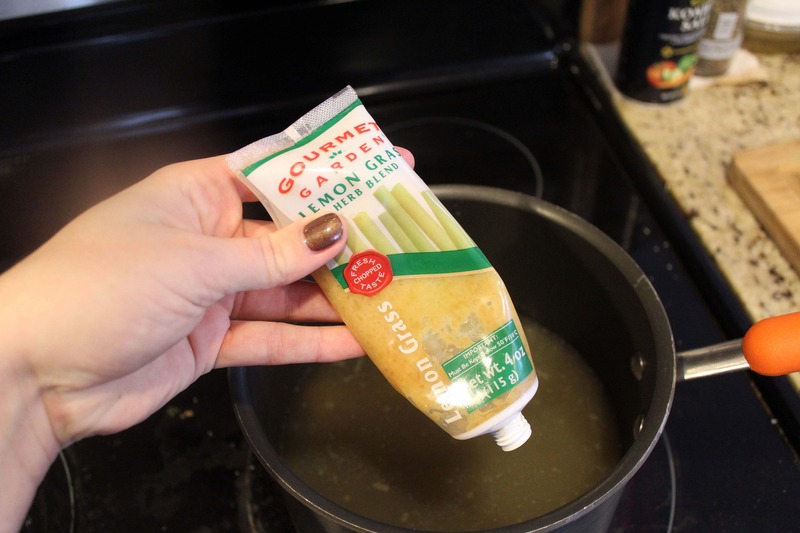 Bring the stock, ginger, and lemongrass to a simmer in a soup pot. Add 2 teaspoons of fish sauce and simmer for 5 minutes. 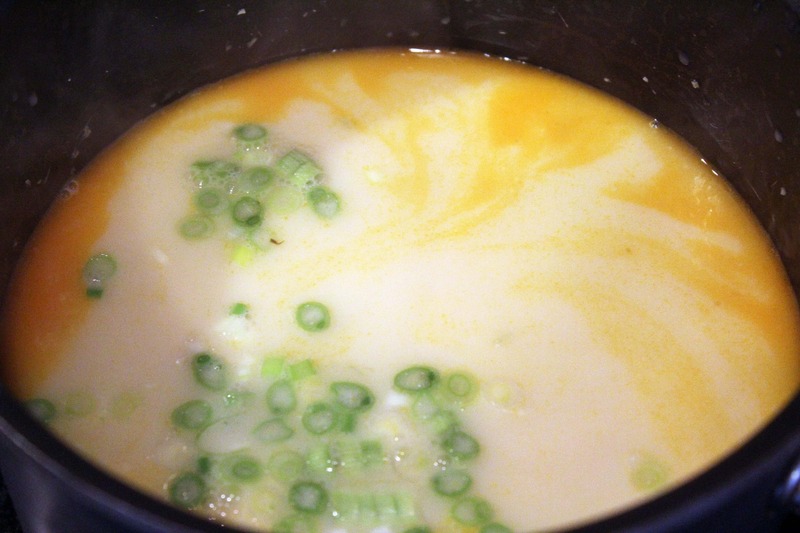 Add the coconut milk and return to a simmer, about 5 minutes more. Add the scallion whites, tofu cubes, and pepper slices. Simmer for 5 more minutes until heated through. Taste, and add more fish sauce if you’d like! Right before serving, add the lime juice, scallion greens, and cilantro leaves, if desired. Serve drizzled with chili oil and extra cilantro. Enjoy!